Heather joined the firm in 2002 as an Associate. She graduated from the University of Saskatchewan in 1996 with a Bachelor of Arts degree in Psychology. She obtained her Bachelor of Laws degree in 2000, also from the University of Saskatchewan. Thereafter, she spent a year articling with a firm in Regina. Prior to joining the firm, Heather had been working for the Legal Assistance Centre in Windhoek, Namibia, conducting international comparative research for a legal publication, as well as assisting with the preparation of documentation for a multi-complainant human rights application to the High Court of Namibia. Heather is a Partner and practices primarily in the areas of family law including child protection, corporate and commercial law, and real estate. 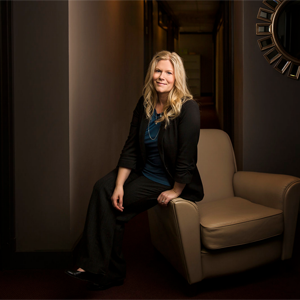 Outside of the practice of law, Heather is involved with the community. She has been a presenter for the Public Legal Education Association on several occasions and assisted as legal advisor for several Law Day Mock Trial Competitions. She is a member of the Saskatchewan Trial Lawyers Association and has been a member of the Canadian Bar Association since 2003, having held executive positions with the Prince Albert chapter of the CBA between 2004 and 2011, including Secretary (2004-2008), Vice-President (2008-2010) and President (2010-2011). Heather has also been involved with the Prince Albert YWCA, joining as a Board Member in 2004. She was Board Chair from 2007 to 2011 and after rejoining the Board in 2015 was elected Chair in 2016. Heather has also joined the Board of Directors for the Prince Albert Safe Shelter and is currently Vice-President. Heather otherwise spends her spare time boating, golfing, kayaking, and snowboarding.